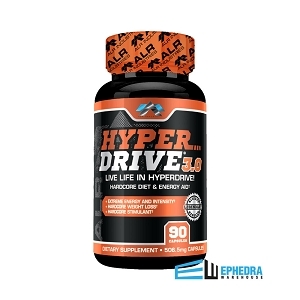 Hyperdrive 3.0 is the most effective thermogenic fat burner on the market. 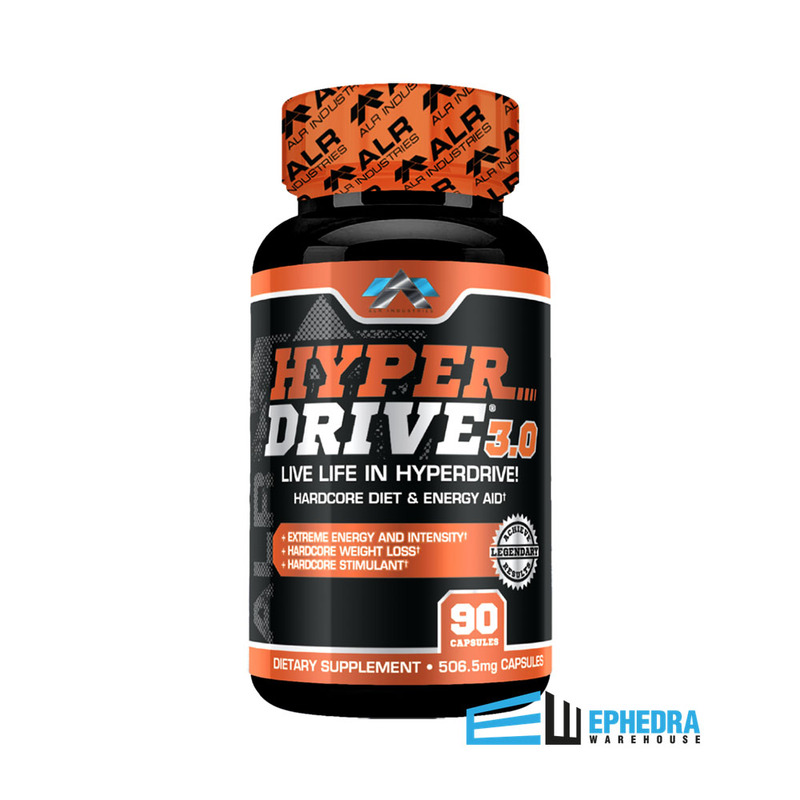 Manufactured by ALRI, Hyperdrive 3.0+ is an updated version of the old Venom Hyperdrive 3.0. Nothing of the old formula was changed, but several euphoric enhancing ingredients have been increased and added. Hyperdrive 3.0 will take your body to a whole new level. ALRCocoamine 3.0+ : this proprietary blend matrix revs up the body's metabolism and energy levels. It consists of Phenylethylanmine, methylxanthines (theobromine, caffeine, thephylline), and several synephrines. These ingredients deliver many of the same effects as ephedrine. Guggulsterones and Tyrosine Ethyl Ester- both stimulate the thyroid and intensify thermogenesis. L-Carnitine- amino acid that acts as a "fat mobilizer", helps target stored fat and turns it into energy. Hoodia Gordonii- suppresses appetite and controls hunger.